Nature is not once far away in Morocco. Desert, mountains, valleys and sea - the country has a lot to offer to expats. The warm days and cool nights of autumn are also ideal for seeing the best of natural Morocco. The High Atlas Mountains are the most popular destination for trekking – most notably for fans of outdoor adventures. Known in ancient times as Mauretania, Morocco is a country on the Atlantic and Mediterranean coasts of Africa with around 35 million inhabitants. The languages spoken there are mainly the Arabic and Amazighe Berber languages, both of which are official languages of Morocco. The Arabic name for the country of Morocco is Al Maghreb meaning the “Western Kingdom”, but the western name Morocco comes from a name for the city of Marrakesh. It was once part of the Roman Empire until it was overrun by the Germanic Vandal tribe in the year 429. It was overrun by Muslims with the rise of Islam and remains Muslim to this day. Though it had several powerful empires in medieval times, it was a protectorate of France and Spain in the early 20th century before regaining independence in the year 1956. The country today is a Constitutional Monarchy ruled by King Mohammed the 6th, and the official currency of Morocco is known as the Dirham. 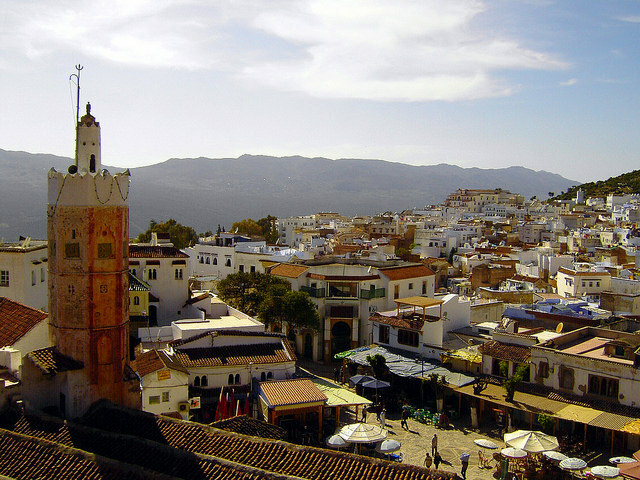 There are around 100 thousand European expats, mostly French and Spanish nationals, living in Morocco. The Berbers are an ancient people who were recorded in history as the "Meshwesh" long ago by the Ancient Egyptians. They call themselves "Imazighen". They have their Tifinagh alphabet used for writing their language, derived directly from Phoenician letters. Morocco also occupies much of the disputed desert region known as Western Sahara, which has been the cause of much political strife since the year 1976. Principal crops that grow in Morocco include olives, oranges, and almonds. Despite public Morocco still has a fairly high rate of illiteracy at around 50 percent. Ingredients often used in Moroccan cooking include chicken, beef, lamb, and couscous. Favorite genres of music in Morocco are chaabi music and trance music. The most popular sport in Morocco is soccer football. Both men and women in Morocco traditionally wear the djellaba, which has long sleeves and a hood. Famous cities in Morocco include Marrakesh and Casablanca. There have been many foreign movies that were shot in Morocco because of its exotic desert terrain. Some of the more famous ones include The Man Who Knew Too Much, Lawrence of Arabia, Patton, and Black Hawk Down. Morocco allows nationals of most Western and industrialized nations to visit without a tourist visa for up to 90 days. Morocco has always been an ally of the United States and has the oldest unbroken treaty of friendship with the US dating to the American Revolution when there were troubles with Barbary pirates. Situated on the borders of the Mediterranean Sea and the Atlantic Ocean, The Kingdom of Morocco is known for its strong European, Berber and Arabian influences. Once you get here, you will find yourself surrounded by perfect landscapes that are too great for the human eye. From the High Atlas to the Sarah Dunes, you will tell yourself that Morocco is a paradise on Earth. Most of the locals are walking the streets still wearing their robes and turbans, proving how strongly connected they are with tradition despite the country’s evident modernisation. Their trademark colourful and patterned African rugs that you will see in the market somewhat embodies the nation’s vibrant communities and cheerful locals. Here are some important tips that can help you with your relocation. Most rental properties in Morocco are advertised over the internet. You can go through online portals to get an idea of the different rental costs and neighbourhoods. Another choice for you is to hire a samsar (real estate agent) to help you in your search. They know the cities very well and have a wider range of options in the market. Just keep in mind that realtors will take commission from you and the landlord for their service. The first thing that you should ask your landlord is the cost of your utilities because some of them do not include this in your rental pay. In Morocco’s main cities, the average monthly cost for basic services like water, electricity and gas is €40. Your internet connection with a minimum speed of 10mbps is around €25 per month, and local mobile prepaid calls are charged €0.30 per minute. There are many houses and apartments in Morocco and renting is a lot cheaper than buying a property. You can always choose between a short term and long term rental agreement based on your planned length of stay. Most accommodations in low-income districts are decent but don’t have bathrooms. Because of this, you will find a huge number of expats living in middle-class neighbourhoods like Rabat, the capital of the country. Apartments include western style bathroom, and some may even come furnished. The average cost of a one-bedroom apartment in the city centre is €300 per month and €700 for a three-bedroom unit. If you want to move somewhere quiet and have larger outdoor spaces, you can go to Al Hoceima. This city is located on the northern side of the country just beside the Mediterranean coast. It has fantastic beaches and clean environment that is suitable for your children. 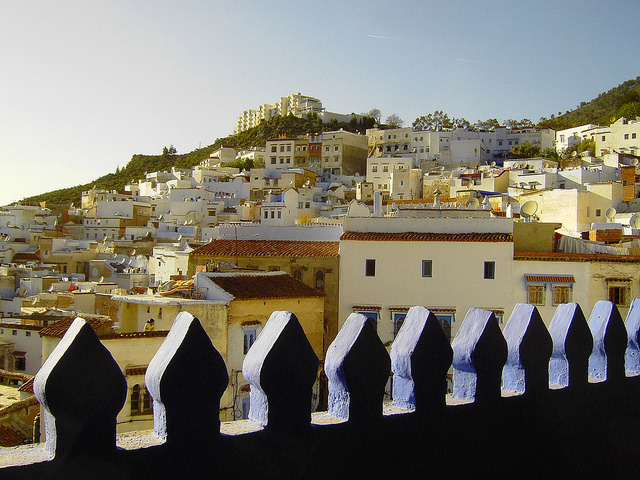 The average monthly rent for a one bedroom apartment in Al Hoceima is €300. You can also find a beautiful three bedroom unit for around €500 per month. Children ages 7 to 13 are required by the local government to be enrolled in school. Though Morocco is considered to be left behind when it comes to literacy and educational system, there are still schools that provide quality education. For your child's expat background, you can check the International School of Morocco, Casablanca whose curriculum is designed to meet international standards. There are also several local schools in the country that accept foreign nationals like the Al Akhawayn University which is currently the leading local, public school in Morocco. One of the keys in a successful relocation is to make sure that you didn’t leave any important thing behind. Most experienced and even fist time expats hire international or local shipping and removal companies. They provide door to door services where they will facilitate the whole moving process. There are three ports in Morocco: Casablanca, Agadir and Tanger Med. Most containers take 10-20 days to arrive in the country’s leading port, Port Casablanca where customs officials conduct an inspection of the cargos. There is no quarantine for healthy animals going to Morocco, but it usually takes 48 hours for customs officials to clear the pets for entry. Your pet should have its current annual vaccination and rabies vaccination at least four weeks before your departure. Makes sure that the pet has an Import Permit from the Government of Veterinary Services in Morocco and the International Health Certificate. For more information about pet relocation requirements, click here. Morocco is a melting pot of diverse cultures and influences which make it easier for you to connect to its communities. You will find yourself settling in a country blessed with mild winters, pleasant summers and with people from different parts of the globe living together in harmony. Infamous for its many inhabitants including Arabs and Berbers, Morocco is one of the African territories that have stood the test of time. Its 710,850 square kilometre land area will transport you back to the medieval times with bold colours and textures seen in the local’s daily attire. The Kingdom of Morocco is the westernmost country in North Africa that houses an estimated total of 35.2 million people. This country is characterised by sweeping deserts, ancient cities and majestic mountain ranges whereas the classical architecture that expats are about to see is the result of the cultural excerpt of Morocco’s 44 years of friendship with France. Though some people have reservations about living in an Islamic country, expats bound to Morocco will find a welcoming and liberal nation whose dizzying diversity came from centuries-worth of ties with Europe, the wider Middle East and sub-Saharan Africa. Aside from the affordable cost of living and steadily developing economy, the ‘Western Kingdom’ is also blessed with a mid-tropical weather where you will be kissed by the fresh air brought by the Mediterranean and Atlantic currents. Expat parents who want to make their kids happy and at the same time remove their attention from their gadgets will find a lot of fun outdoor activities. This country is blessed with four beautiful mountain ranges including the world renowned RIF mountain range and ATLAS chain. Here, expats can enjoy trekking, climbing, hiking and camping while savouring the scenic views. Aquatic activities are also a popular past time for the locals since Morocco boasts about 3,500 kilometres of coasts where you can swim, surf, Jet Ski and windsurf. Another top destination that deserves your attention during the weekends is the Jardin Zoologique de Rabat that houses 130 species of animals that came from various natural habitats including the rainforest, desert, savannah and the mountains. Kids can participate in the diversified activities at the Zoo Camp while being surrounded by animals and different ecosystems. Expat parents can also take their children to Aquapark Tamaris, famous water park in the city of Casablanca. Moroccan food is undoubtedly one of the most famous and sought after in the world because of its Arabic, Spanish and French influences. Aromatic and spicy are the exact words to describe the cuisine in this North African country. However, because of the growing number of expats in Morocco, more local restaurants tend to put foreign dishes in their menu just to cater to the taste buds of the international community but there are still several restaurants that uphold the tradition of serving couscous every Fridays. Most authentic Moroccan dishes are available either in the home of the locals or in the souks (outdoor markets). Expats shouldn’t miss tasting some of the best street foods in the cities of Marrakech, Fez and Essaouira where they can satisfy their cravings while connecting with the Morrocans. Some of the best local dishes that you shouldn’t miss in this country are tajine (spicy stew cooked meat and vegetables) and kaliya (lamb mixed with bell pepper, onions and tomatoes often paired with couscous). There is also the Steamed sheep head, tehal (stuffed ground beef, camel meat or lamb mixed), kebabs, calamari, grilled sardines and Kefta tagine (balls of minced beef or lamb mixed with parsley, coriander and cinnamon). 98% percent of Morocco’s population are Muslims and expats must know that Islam mostly dictates the people’s lives as well as the ways of the society. Expats who practice different religions should be mindful of their Muslim neighbours especially when it comes to their religious practices. Muslims have an obligation to pray five times per day and the exact time of their prayers are listed everyday in the local newspaper. They also consider Friday as a Holy Day whereas all offices and establishments are closed. The holy month of Ramadan is when work hours are only six hours per day and all Muslims fast from dusk until dawn. Though expats are not required to fast, they should still avoid drinking, smoking or chew gum in public places. 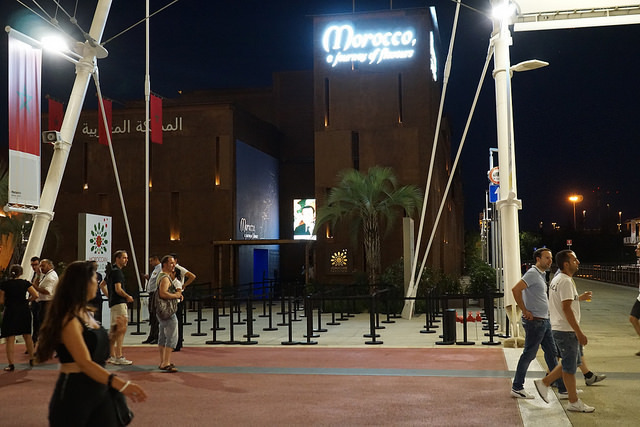 The Moroccans are known for being kind, welcoming and hospitable. In most cases, a local colleague or new found friend will invite you to their home to share dinner with their family. They love building personal relationships which is why most deals in the business world are made only after several meetings. Moroccans are sweet and caring as well. They will often as you about your health and well-being. They also deeply value honour and respect towards other regardless of the person’s religion, nationality or gender. Though modernisation significantly influenced the culture of Morocco, the society remains to be dominated by male. The local government and several organisations work rigorously to advance the rights of women and children. However, there are still some establishments where women are not welcome. Most women in this country still wear the traditional hooded robe called djellaba partnered with the hijab, a head covering that symbolises their submission to Allah.